CGPSC Recruitment 2017 - Latest job notification for 5 Lecturer & Librarian Posts in Chhattisgarh. Applications are invited by Chhattisgarh Public Service Commission, Raipur before 07 Jul 2017 for 5 vacancies. 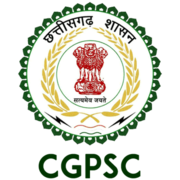 Eligible candidates can only apply online through CGPSC website http://psc.cg.gov.in from 08.06.2017 12 PM to 07.07.2017 11:59 PM.